Can you believe it's December already. It's a bit of a quiet month in the World of Weddings but don't forget the Love Actually Christmas Wedding Fair at Bristol Zoo this Sunday. 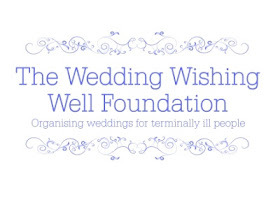 On Saturday 17th December, there's a fantastic Wedding Planning Workshop held by How 2 I Do. Book tickets at www.how2ido.co.uk to learn how to pick a theme, make a mood board, plan a timetable for the big day and arrange a table plan, plus much more. It costs just £25 per person. Also don't forget to open those advent calendars and make a list for Santa. This month we'll be featuring some great gifts available to buy from local Wedding suppliers as well as some Winter Weddings and DIY tips for decorations and treats.